India's Virat Kohli retained his second spot in the latest ICC Player Rankings for ODI Batsmen but Australian opener David Warner was breathing down his neck with just two points behind in the chart issued on Saturday. Warner cut Kohli's earlier 62 point lead to just two following a stellar performance in the Chappell-Hadlee series against New Zealand, which concluded in Melbourne yesterday with Australia winning 3-0. 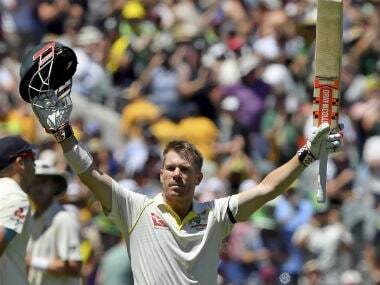 Warner finished as the leading run-getter with 299 runs in three matches to consolidate his number three ranking. South Africa's AB de Villiers is still the number one ranked batsman with 13 points ahead of Kohli. 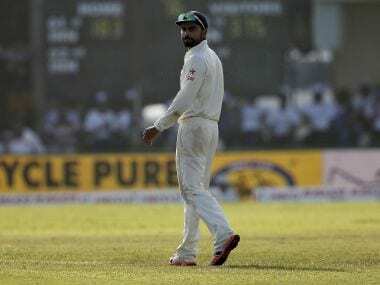 The fight for the No.1 ranking will resume next month when Kohli is expected to feature in the three-match series against England (January 15-23), Warner will take the field against Pakistan in the five-match series (January 13-26) and de Villiers is set to lead South Africa in the five-ODI series against Sri Lanka (January 28 to February 10). Meanwhile, New Zealand opener Martin Guptill and Australia's trio of Steve Smith, Mitchell Marsh and Josh Hazelwood have all achieved career-high rankings. 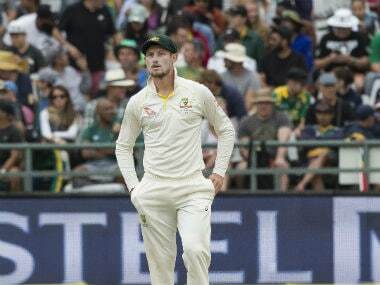 Guptill has been rewarded for his 193 runs in the series with a rise of two places, which has put him in sixth position, Smith has jumped six places to 10th following series contribution of 236 runs, Marsh has gained three places to rise to 22nd position, while Hazlewood has vaulted 12 places to join Afghanistan's Mohammad Nabi in 11th position following six wickets in the series. Pat Cummins, who was the leading wicket-taker with eight wickets, has returned in 47th position while other bowlers to make upward movements include James Faulkner (23rd, up by two places) and Mitchell Santner (50th, up by 16 places). Trent Boult, who was the leading wicket-taker in the series with eight wickets, has retained his No.1 ranking. He leads South Africa's Imran Tahir by eight points, with West Indies' Sunil Narine one more point behind in third position. 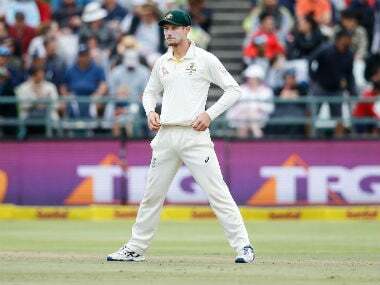 There is no change to the all-rounders' list, which is headed by Bangladesh's Shakib Al Hasan, who is followed by Angelo Mathews, Mohammad Nabi, James Faulkner and Mitchell Marsh. On the ICC ODI Team Rankings, No.1 ranked Australia has moved up from 118 points to 120 points, while New Zealand has dropped behind India in fourth position. New Zealand had started the series on 112 points, but the 3-0 defeat has meant it has dropped to 109 points.